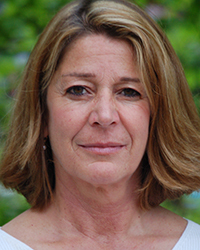 Bonita (Bonnie) Rizzo has been a year round resident of Nantucket and a practicing real estate broker in sales and rentals for over 30 years. She prides herself in her honesty, attention to detail, and the ability to promptly provide her clients with accurate information and a good dose of humor. Her pride and joy is her native 11 year old son, Dylan. In her free time, she enjoys playing and going to baseball games with her son, (Go Red Sox), hosting parties with his classmates, and chaperoning whenever possible. She loves cooking, bass fishing, gardening, winning at Scrabble, and playing Texas Holdem. Her favorite beach on the island is Fat Ladies and her favorite spot to travel is Italy.